This Agreement is made between the Vendor, the Lender and the Borrower. The Vendor wishes to sell equipment to the Borrower and the Lender agrees to lend a sum to the Borrower so that the Borrower can purchase the equipment. 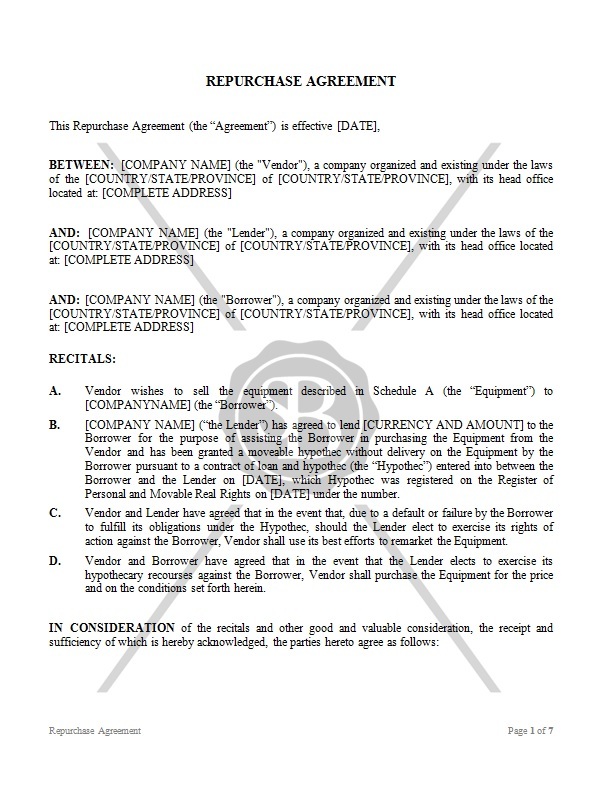 In the event the Lender elects a hypothecary recource against the Borrower, the Vender shall repurchase the equipment.